With the big game just around the corner, we are already preparing our best recipes for game day snacks! I tend to think of my slow cooker for days I will be gone, or for soups in the winter. But slow are good for so many things! They are a real time saver and work-saver, especially on a busy day! Recently I was craving wings, but I didn’t want to buy the pre-made ones. And, I have tried so many wing recipes that didn’t turn out the way I like, that I’m wary of homemade wings. So, I decided to invent my own easy recipe. I had some wings in the refrigerator, so I pulled them out and put these together pretty fast. They are real easy to put together, and we loved them! First, I cut the wing sections apart, discarding the wing tips. Then I placed them all into my crockpot, and dumped in about 3/4 a bottle of BBQ sauce. Turn it on high for 3-4 hours, and no peaking! (Lifting the lid allows heat to escape, and can add 30 minutes to an hour to your cooking time.) 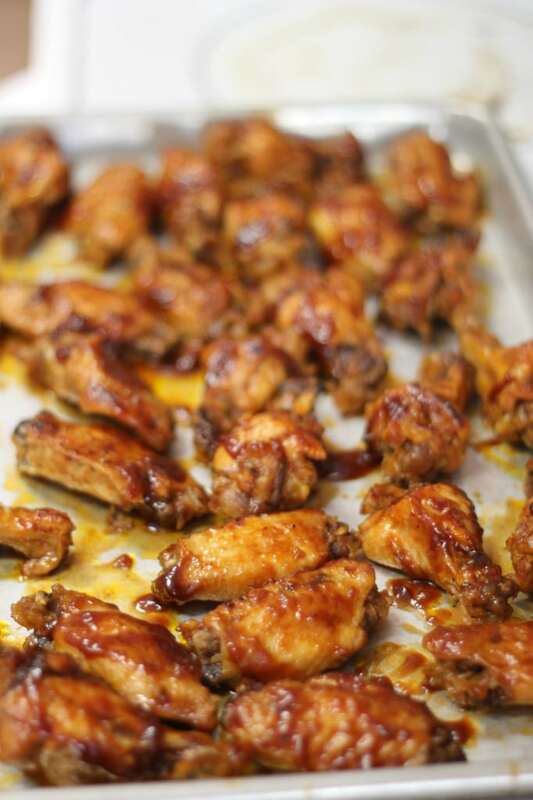 After the wings are done, place them in a single layer on a baking sheet, and brushed the remaining BBQ sauce over them. Place them about 6 inches under the broiler, and broil on high for 5 minutes, to caramelize the sauce. These are sticky and delicious! Cut wings into sections, discarding wing tips. 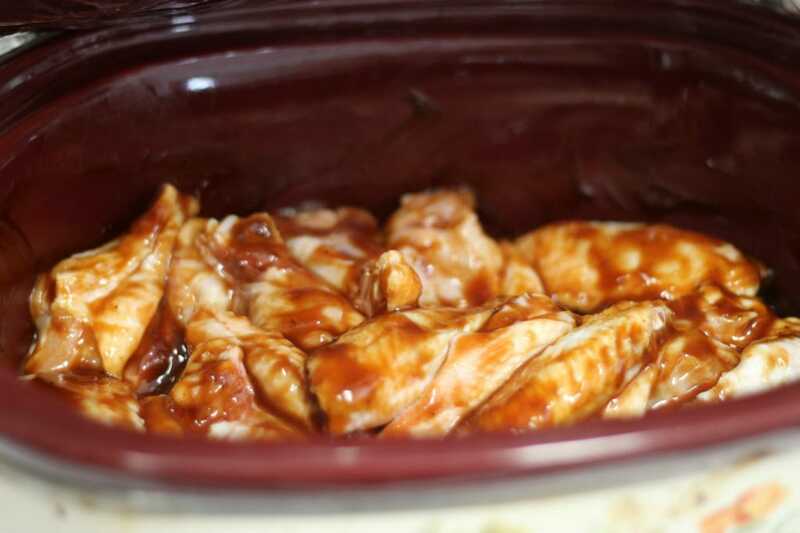 Place in crockpot, pour BBQ sauce over the wings and stir to coat evenly. Place on a baking sheet and broil 6 inches from heat for 5 minutes. See more of our favorite game day snacks here! 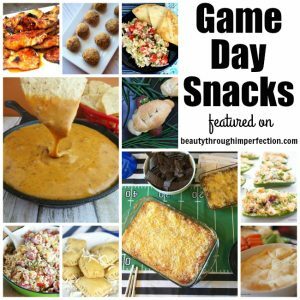 Do you have any favorite game day snacks? Share with us in the comments. This sounds and looks good. Think I will try it with regular cut up chicken parts. I love using my crockpot. Trying these tonight for the super bowl. This might be a dumb question but my crock pot has 4 and 6 hours under high and 8 and 10 hours under low. Recipe states cook 3-4 hours on low. So I’m figuring I can put it on 8 hours and just set a timer for 3-4 hours. 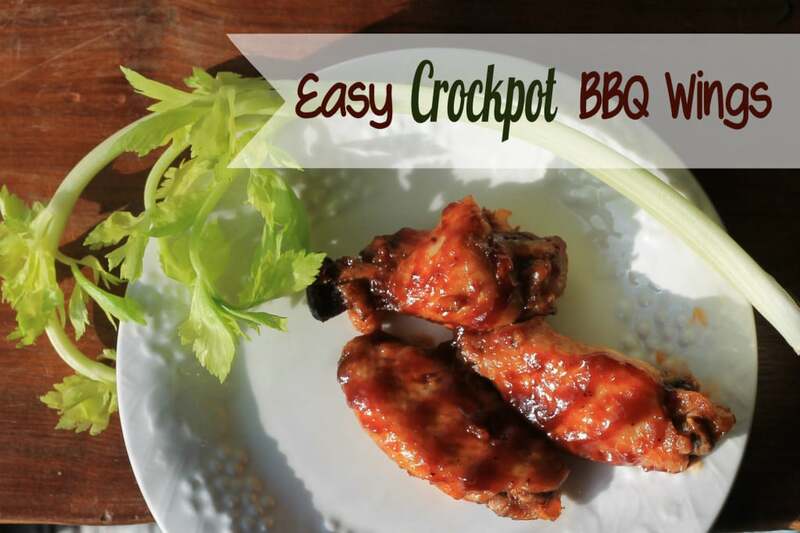 Hey Buddy!, I found this information for you: "Easy Crockpot BBQ Wings". Here is the website link: https://www.beautythroughimperfection.com/bbq-wings/. Thank you.